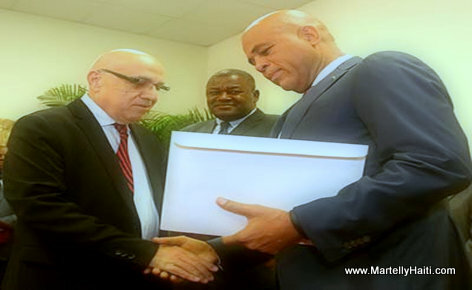 Haitian businessman Reginald Boulos was the head the 11-member presidential commission president Martelly appointed in November 2015 to help him find a way out of the turmoil of the time. This is the commission that led to Evans Paul becoming Prime Minister of Haiti. This happened during an event held Tuesday, 09 Dec 2014, at the the Haiti National Palace.